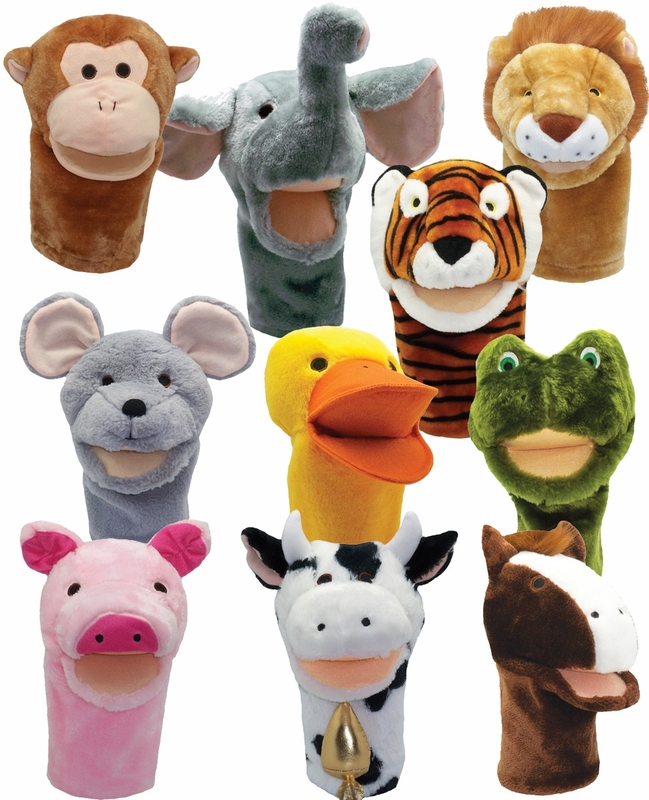 Bigmouth animal puppets help bring stories to life! 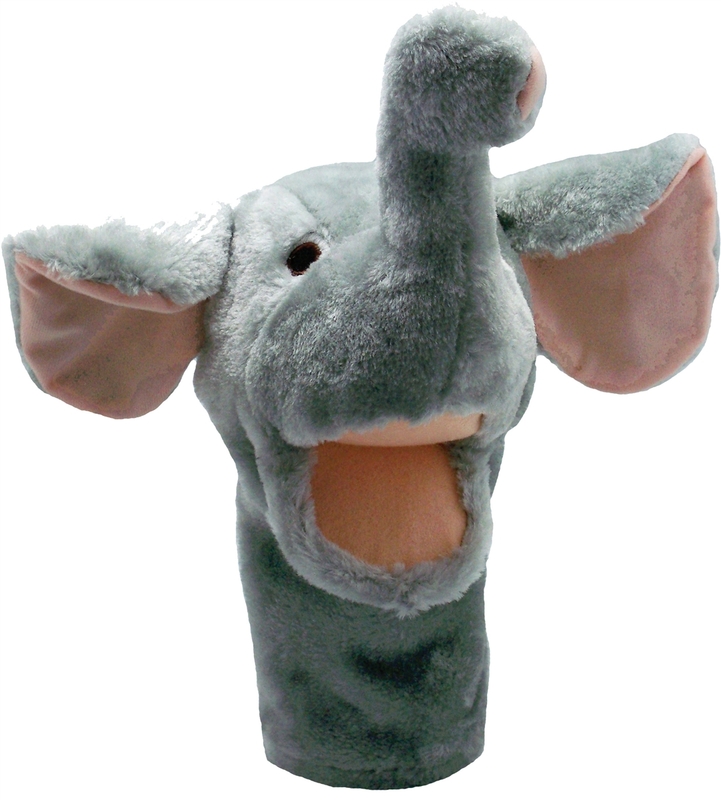 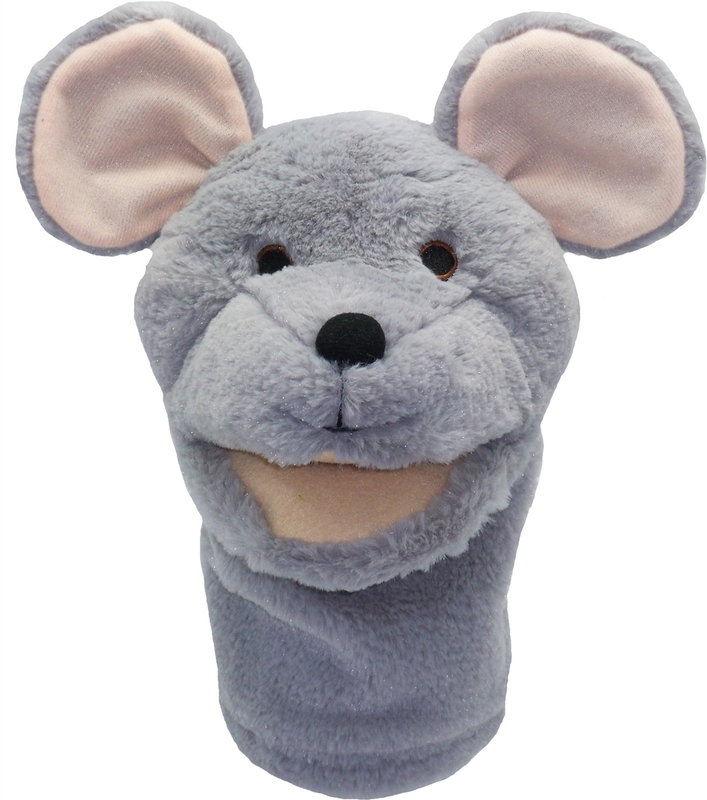 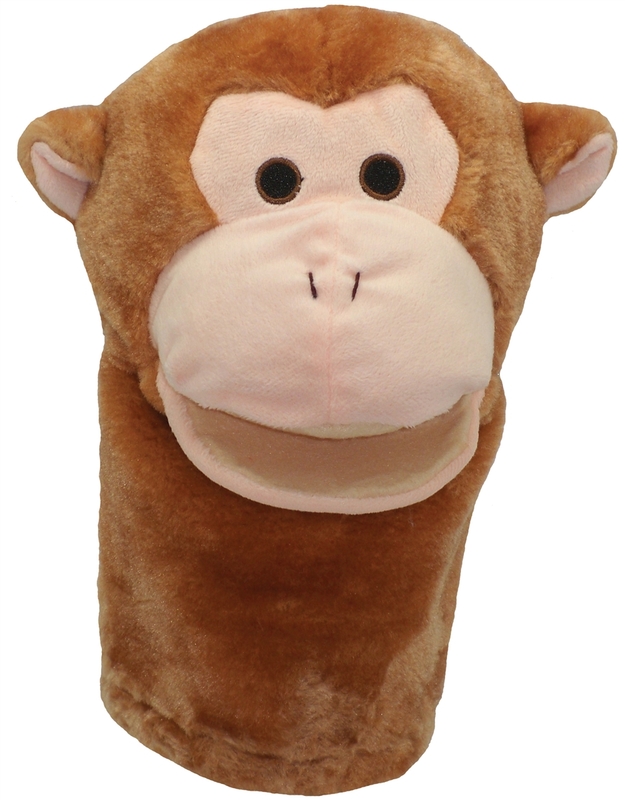 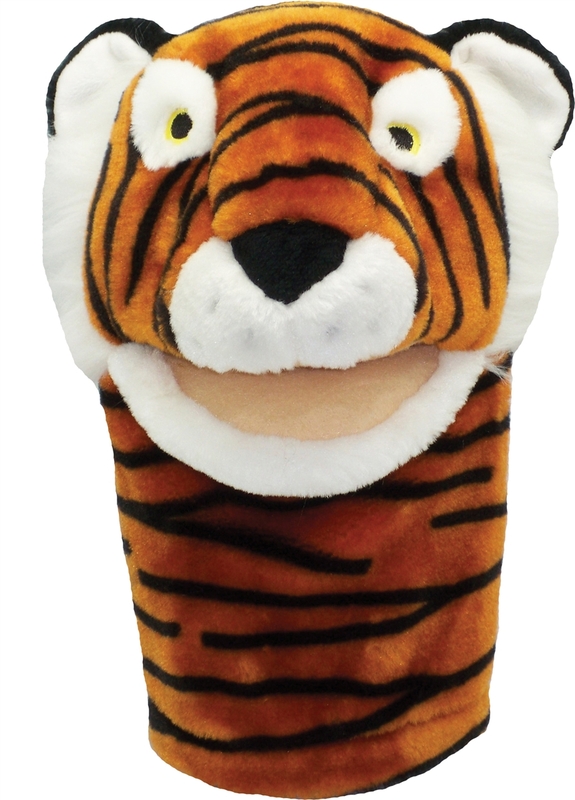 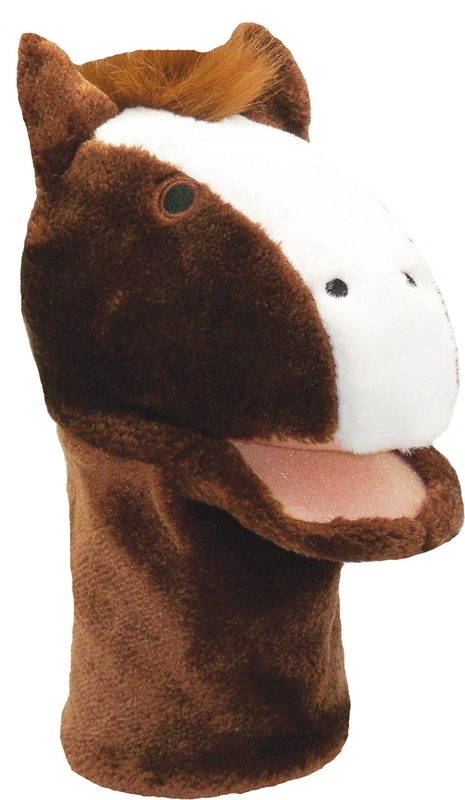 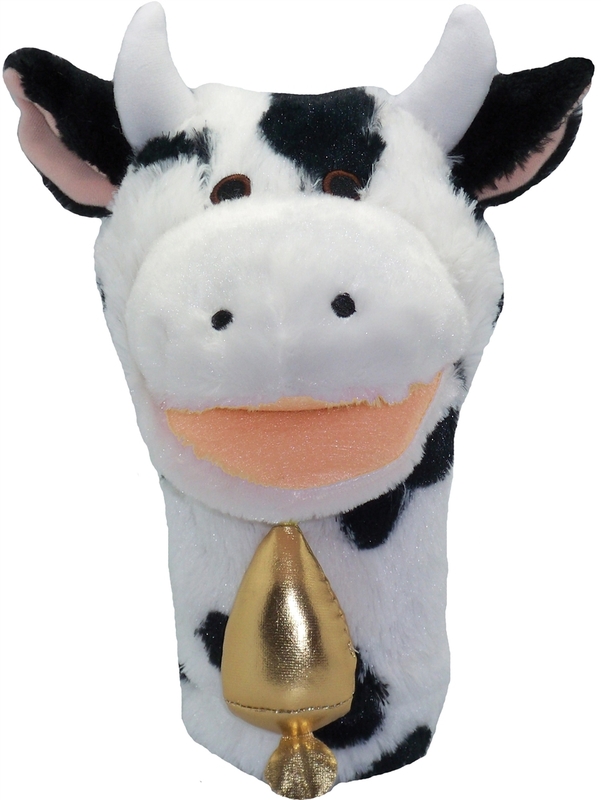 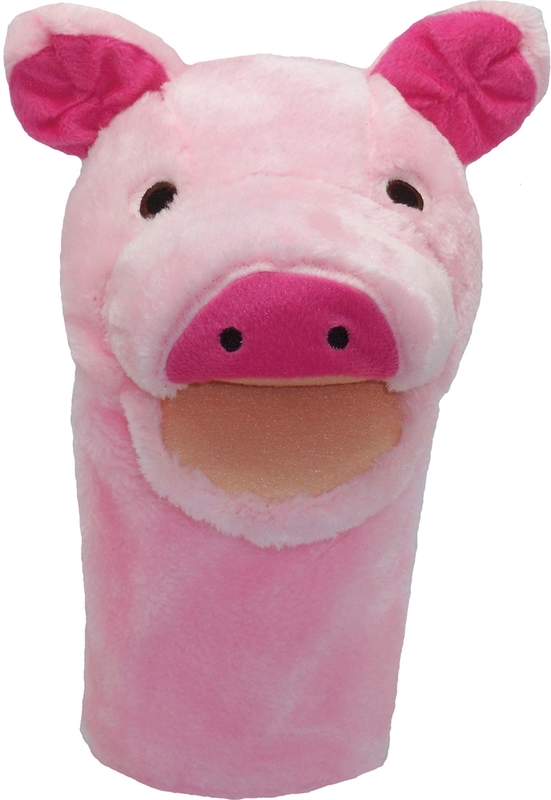 The puppets comfortably fit little or big hands and feature safe embroidered eyes. Puppet set includes pig, cow, horse, duck, frog,mouse, tiger, lion, elephant and monkey. 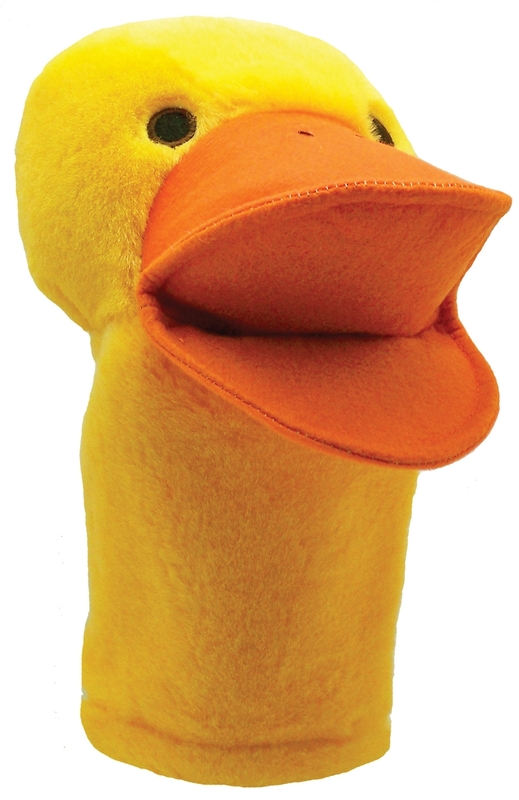 Puppets are approx. 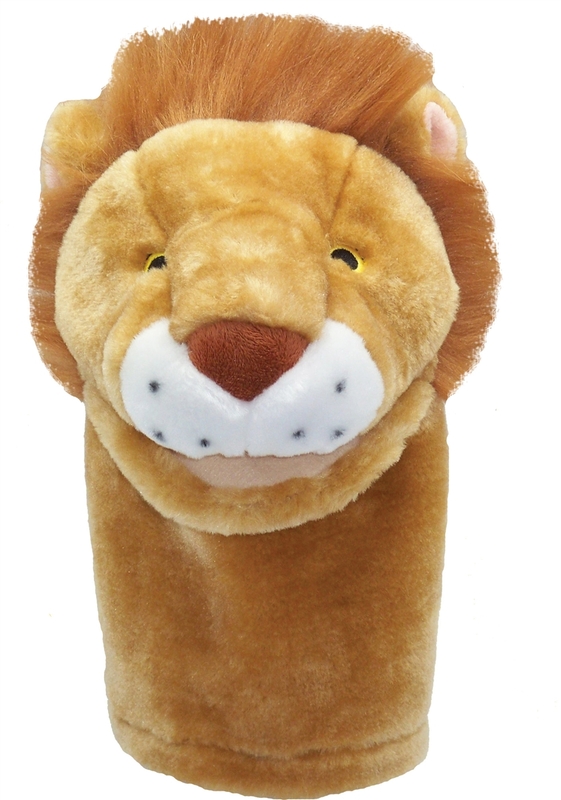 12", surface washable.